I was asked to participate in the #ForTheWin, sponsored by Tyson Foods, Inc. and The HV Food Products Company. Although I have been compensated, all opinions are my own. This time of year, it seems like everyone is talking about basketball. I will admit that I'm not a huge sports fan, but I do love any excuse for a party! Basketball is one of the few sports whose rules I actually understand (I'm pretty sure, at least) and it's always fun to invite a few friends over to watch the game together. 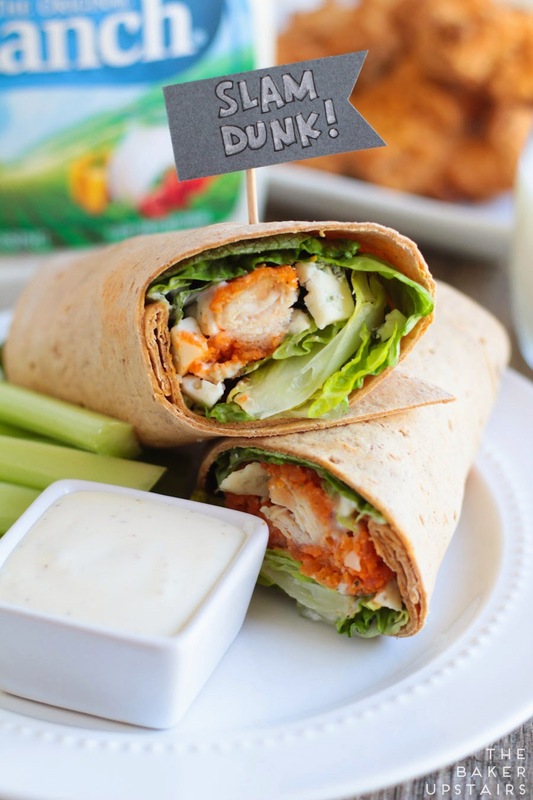 This year we'll definitely be enjoying these delicious buffalo ranch chicken wraps during our dunk day party. 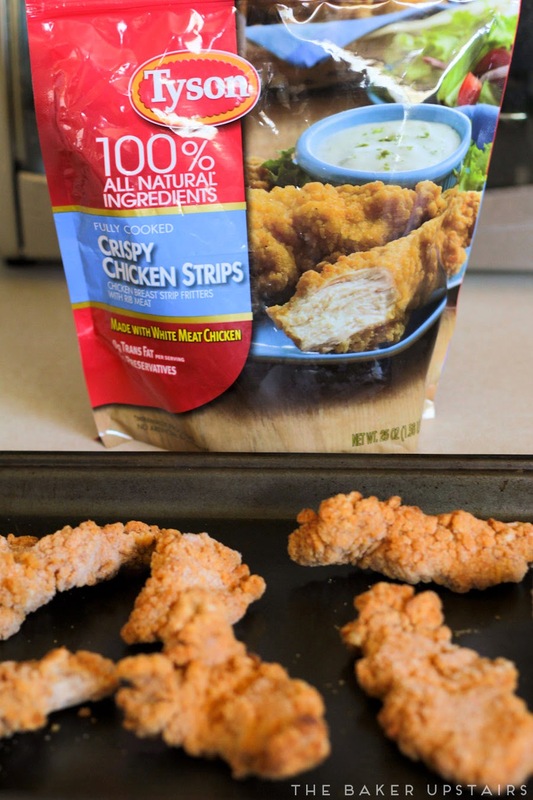 They're super easy to make using Tyson® 100% All Natural* Crispy Chicken Strips and Hidden Valley® Original Ranch® dressing! 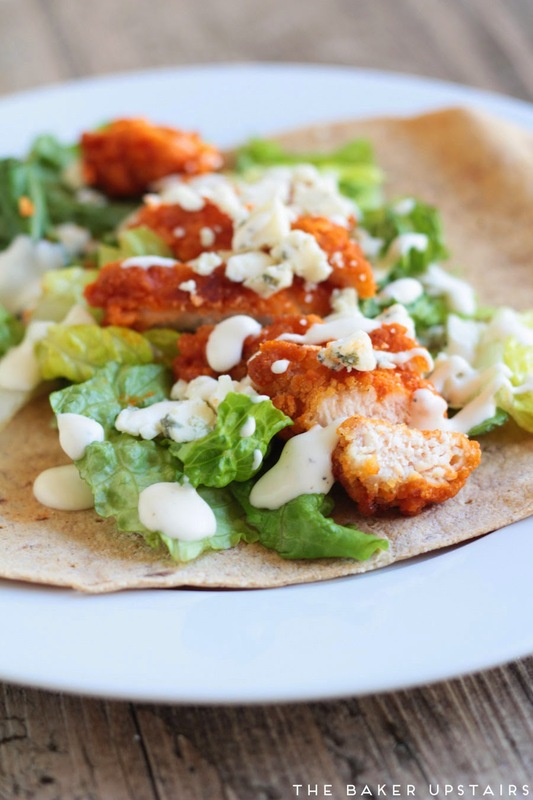 Using Tyson 100% All Natural* Crispy Chicken Strips makes these wraps so quick and easy to put together. I love that they're made with white meat and minimally processed. Plus my family loves the way they taste! I baked them according to the package directions, tossed them with some spicy buffalo sauce, and added them to a wrap with crisp lettuce, tangy gorgonzola, and creamy Hidden Valley® Original Ranch® dressing. These wraps are ready in under 30 minutes, which means you can get back to watching the big game that much sooner! 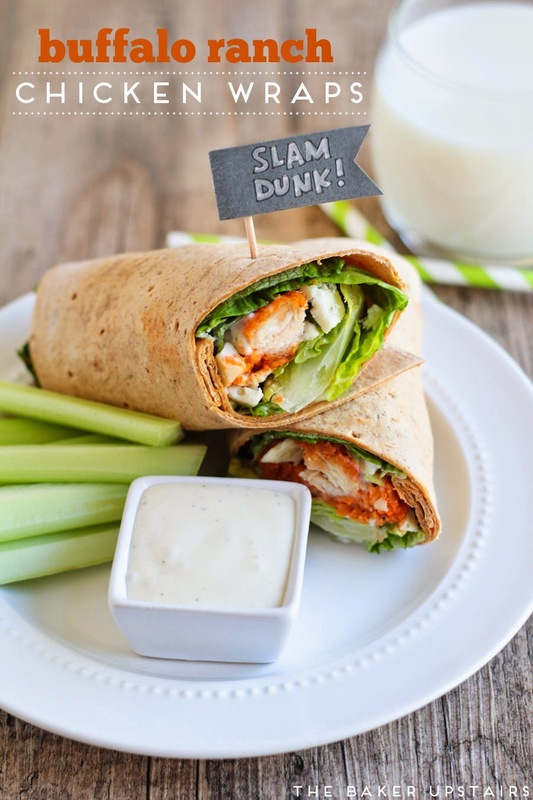 Of course, if you're watching basketball, you have to dunk, so I served these tasty wraps with an extra cup of creamy ranch dressing for dunking! I don't know how it works in your family, but my kids absolutely love any food they can dunk. They'll eat pretty much any vegetable if I let them dunk their veggies in ranch dressing. Bake the chicken strips according to the package directions. Toss the chicken strips with the buffalo sauce to coat, then cut into pieces. Layer each wrap with lettuce, chicken, and gorgonzola, then drizzle with ranch dressing. Roll up the wraps and serve with extra ranch dressing. Enjoy! 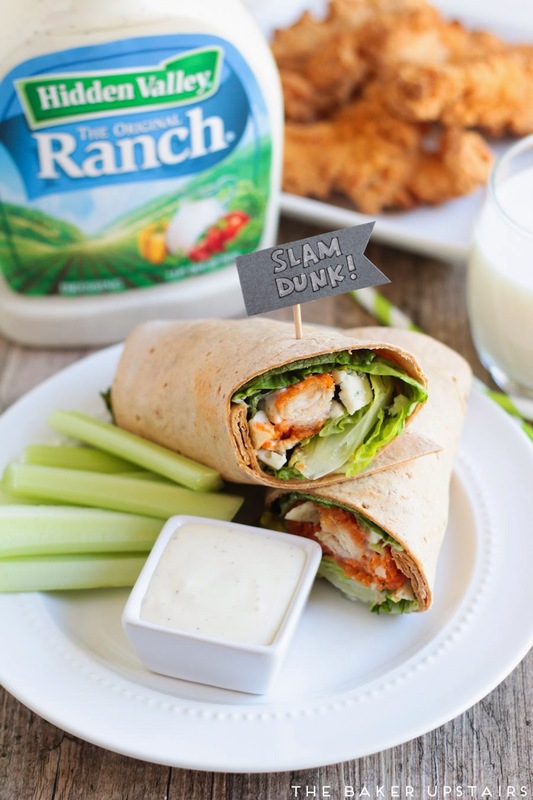 Tyson Chicken and Hidden Valley® Original Ranch® are the perfect team for Dunk Day parties! Right now you can get a $5 Walmart eGift card when you purchase Tyson Chicken and a 24 ounce bottle of Hidden Valley® Original Ranch® dressing in the same transaction at Walmart! Go to drvsusa.com/dunkstrong for further details. By submitting your receipt you are agreeing to receive responses about this offer. Standard text message and data rates apply. Powered by TPG Technology. DRVS® is a registered trademark of TPG Rewards and TPG Technology. Tyson Chicken and Hidden Valley Ranch make it easy to throw an awesome game day party, #forthewin!